we offer to our customers. All are made with long term wear in mind. 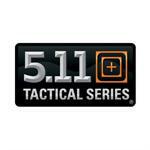 5.11 Tactical Series, has created products that exceed the needs of our customers with functional innovation while delivering exceptional value. Redwing boots has been making shoes for over 150 years, started while the frontier was still open. Honored by both law enforcement & the military. Wellco's reputation for excellence is recognized world-wide.